Many home canners assume that white distilled vinegar is the most acidic ingredient in their arsenal. Not so: lemon juice is actually even more acidic than white distilled vinegar. 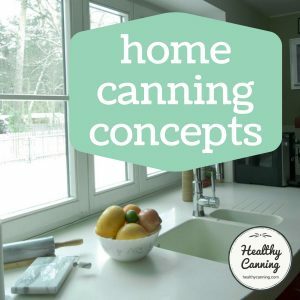 What does lemon juice do in home canning recipes? What bottled lemon juice swaps can you do? Here’s a comparison in descending order of the pH of a few typical canning acids (remember, the lower the pH, the higher the acidity):  Source: FDA. Approximate pH of Foods and Food Products. April 2007. Accessed March 2015 at https://foodscience.caes.uga.edu/extension/documents/FDAapproximatepHoffoodslacf-phs.pdf. Lemon juice contains both ascorbic and citric acids. Average acid-strength of fresh lemons is about 5 percent (also the labeled strength of reconstituted bottled lemon juice; some strains of California lemons are less strongly acidic, however). Being in solution naturally, it’s about one-sixth as effective volume for volume as ascorbic acid for preventing darkening. Even more of a flavor-masker than citric acid, it also adds a distinctive lemony taste to the food. It is used primarily to augment a food’s natural acidity.”  Hertzberg, Ruth; Greene, Janet; Vaughan, Beatrice (2010-05-25). Putting Food By: Fifth Edition (p. 36). Penguin Publishing Group. Kindle Edition. 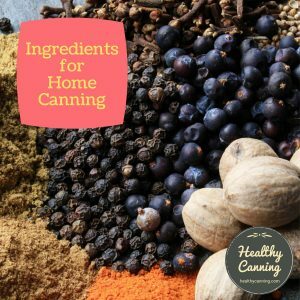 Beginning home canners are usually shocked to find that so many of the tested and approved home canning recipes call for bottled lemon juice. Bottled lemon juice is used to standardize acidity. Fresh lemon juice can vary in acidity and is not recommended.” E. M. D’Sa, E. L. Andress, J. A. Harrison and M. A. Harrison. 2006. Thermal Process Development to Ensure the Safety of a Home-Canned Lemon Curd Product. Athens, GA: The University of Georgia, Cooperative Extension Service. Accessed July 2016. 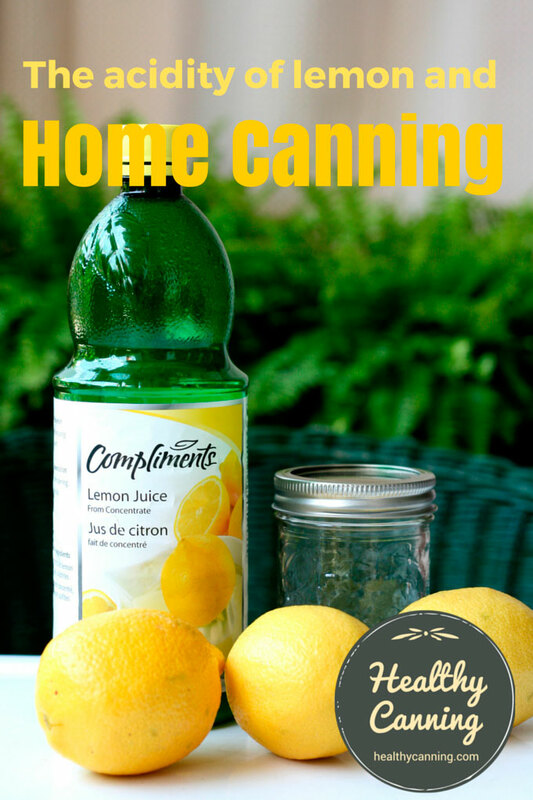 Lemon juice – bottled juice is preferred because the commercial product has a standardized pH (acidity) level.” Bernardin Guide to Home Preserving. Toronto, Canada: Bernardin Ltd. 2013. Page 48. Bottled lemon juice, however, is governed by Food and Drug Administration rules. It must have “a titratable acidity content of not less than 4.5 percent, by weight, calculated as anhydrous citrus acid.”  Code of Federal Regulations (Title 21, volume 2, revised April 1, 2010), via Linda Ziedrich. Given the variables that can affect juice from a fresh lemon, and given that the acidity of the bottled lemon juice is a known, guaranteed factor by law, it’s no wonder that the canning authorities often play it safe and decide to settle on bottled to provide the critical safety margin in a recipe. Asian pears, figs and tomatoes require an acid such as lemon juice as a critical element to make them safe for canning. The authorities weren’t going to rely on the wildcard of a “fresh lemon” for safety. Nor could they possibly begin to even dream of having the resources to monitor on a regular basis the acidity of new cultivars of lemons coming on the market all the time, impact of varying countries of origin and weather conditions on acidity, etc. They need to make recommendations that can last several decades at least, because they never know when the next few shekels of funding to review the recommendations will come along. So, by calling for commercial bottled, they can ensure that everyone is getting the same safe acidity level. 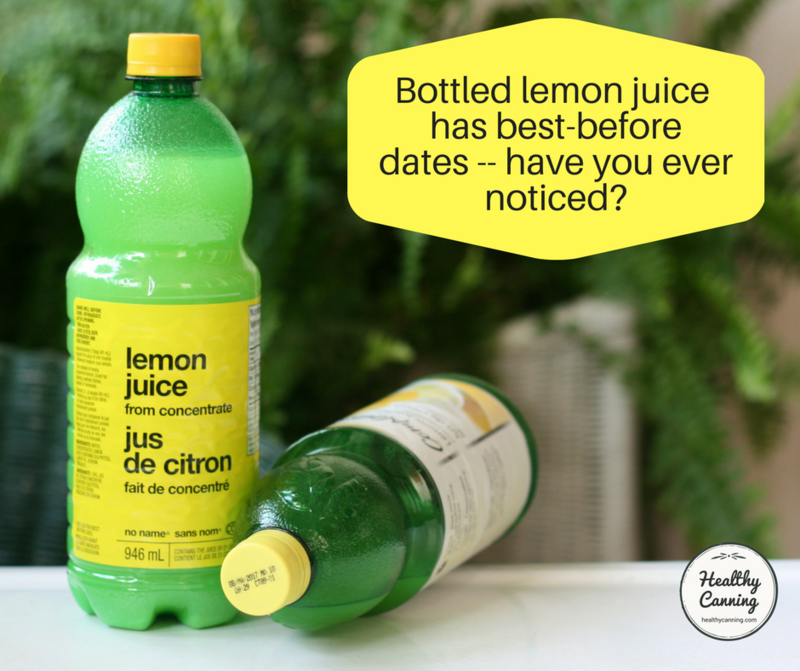 Don’t forget, bottled lemon juice has a best-before date. Keeping the product in the fridge should extend its best-before date greatly. Safety-wise summary: You can swap bottled lemon and lime juice interchangeably, and you can always replace vinegar with bottled lemon or lime juice. But you cannot ever do the reverse and replace either of those two with white vinegar, because it’s weaker than those two. Note that while lemon and lime juice are quite acidic, sadly orange and tangerine juice (with a ph of 3.30 – 4.19) are far less so and so cannot be swapped in as safety equivalents. Bottled lemon juice tends to be more acidic than vinegar. It also has less effect on the overall flavor of the product in which it is used. Equal amounts of bottled lemon juice can be substituted for vinegar in recipes calling for vinegar. Vinegar, however, should not be used when a recipe calls for lemon juice.”  Fraser, Angela. North Carolina State University Cooperative Extension. Celebrate with Safe Salsa. FCSW-516. Accessed March 2015 at https://www.ces.ncsu.edu/depts/fcs/pdfs/FCS516WAccessibleApril09.pdf. However, when it comes to recipes where the level of acidity isn’t crucial (for instance, when you’re adding lemon juice to a batch of jam to balance the sweetness), you can use fresh lemons.”  McLaughlin, Marissa. 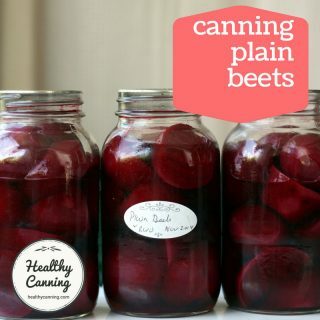 Canning in Vintage Jars. 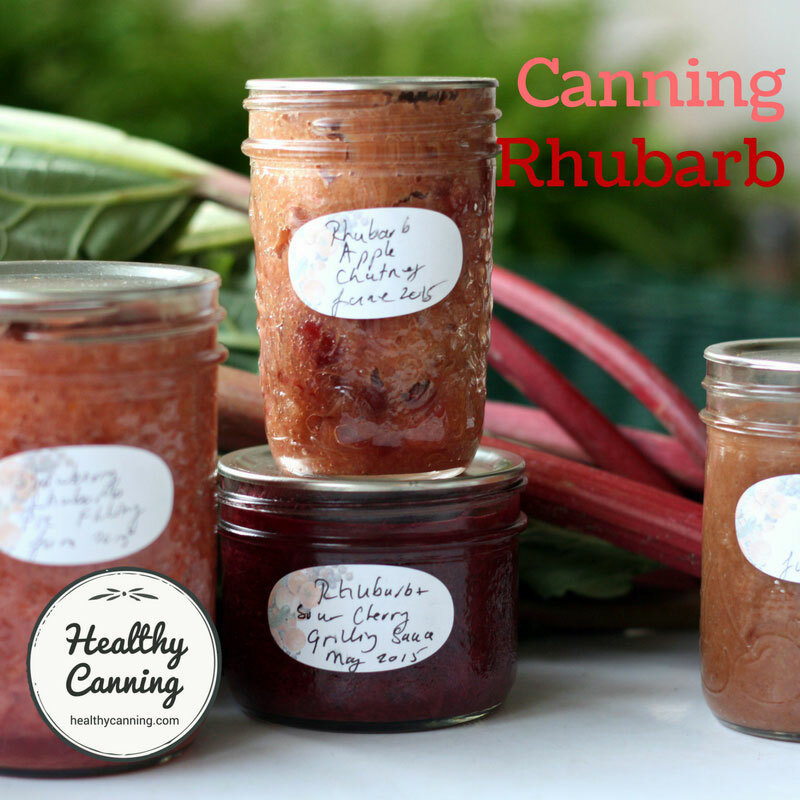 Blog posting: Some Canning Questions and Answers. December 2009. Accessed March 2015. 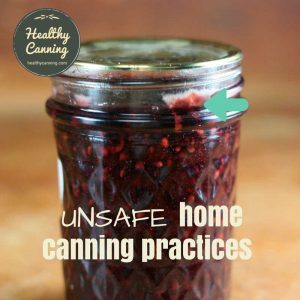 The issue with that advice, however, is that probably only .001% of home canners would have the knowledge of when a jam was acidic enough. 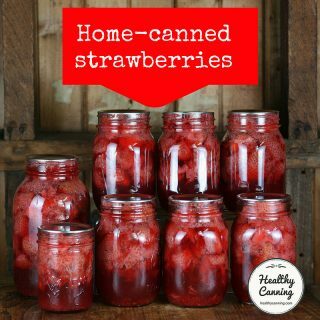 Don’t forget: safety aside, high acidity in jams is also required (along with sugar) for traditional pectin to set to make the jam worth canning! Don’t use Meyer lemon juice or key lime juice, they are different, and weaker: “Key lime juice should not be used as lime juice.”  Salsa Recipes for Canning. Pacific Northwest Extension. PNW395. 2014. Page 4. Ball’s All New Salsa recipes (2016) call for fresh lime juice. Healthy Canning confirmed in several telephone calls July 2016 to Ball that in their salsa recipes appearing in their 2016 All New Book of Canning calling for fresh lime juice, you can use either Key Limes (aka Mexican Limes) or the larger Persian Limes (aka Bearss, aka California) limes. So for those recipes, the tested lab results from Ball’s test kitchens overrule the Key Lime advice above from Pacific Northwest — for those particular lab-tested recipes only. Some people are concerned about sulfites in the bottled lemon juice. Bottled lemon and lime juice contain sulfites. If you or family members have a sulfite sensitivity or allergy, use citric acid or vinegar or substitute frozen lemon juice (not lemonade) that you find in the grocery store frozen section – use same amounts as bottled lemon juice.”  University of Minnesota Extension. Home Food Preservation Newsletter. August 2012. Accessed March 2015 at https://www.extension.umn.edu/food/food-safety/home-food-preservation-newsletter/docs/home-preservation-august-2012.pdf. Or, again, you can also swap in citric acid in appropriate ratios. Bottled, not fresh lemon juice should be used because the acid content of bottle lemon juice is standardized.” Jenkins, Kathryn. 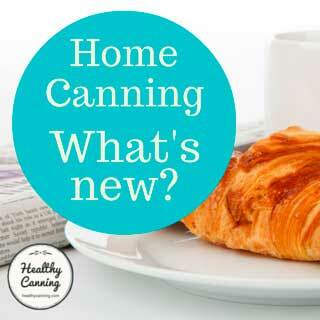 New guidebook available this fall giving up-to-date home canning tips. Frederick, Maryland: The Frederick News-Post. 19 June 1986. Page F-1. The recommendation applied equally to lime juice. 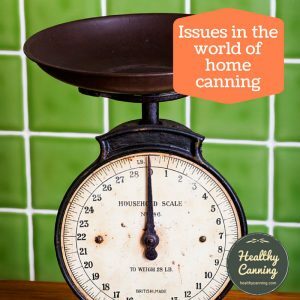 In 2016, Ball created some controversy in the canning world with its All New canning book, when it called for fresh as opposed to bottled lime juice for its new salsa recipes in that book. 1. ↑ Source: FDA. Approximate pH of Foods and Food Products. April 2007. Accessed March 2015 at https://foodscience.caes.uga.edu/extension/documents/FDAapproximatepHoffoodslacf-phs.pdf. 2. ↑ Hertzberg, Ruth; Greene, Janet; Vaughan, Beatrice (2010-05-25). Putting Food By: Fifth Edition (p. 36). Penguin Publishing Group. Kindle Edition. 3. ↑ E. M. D’Sa, E. L. Andress, J. A. Harrison and M. A. Harrison. 2006. Thermal Process Development to Ensure the Safety of a Home-Canned Lemon Curd Product. Athens, GA: The University of Georgia, Cooperative Extension Service. Accessed July 2016. 4. 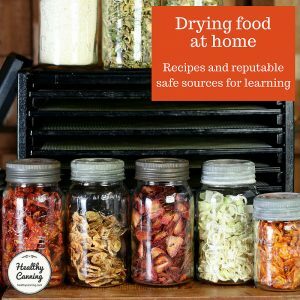 ↑ Bernardin Guide to Home Preserving. Toronto, Canada: Bernardin Ltd. 2013. Page 48. 5. ↑ Code of Federal Regulations (Title 21, volume 2, revised April 1, 2010), via Linda Ziedrich. 6. ↑ Fraser, Angela. North Carolina State University Cooperative Extension. Celebrate with Safe Salsa. FCSW-516. Accessed March 2015 at https://www.ces.ncsu.edu/depts/fcs/pdfs/FCS516WAccessibleApril09.pdf. 8. ↑ McLaughlin, Marissa. Canning in Vintage Jars. 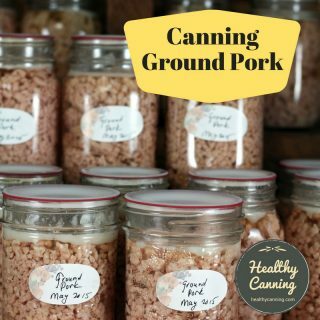 Blog posting: Some Canning Questions and Answers. December 2009. Accessed March 2015. 9. ↑ Salsa Recipes for Canning. Pacific Northwest Extension. PNW395. 2014. Page 4. 10. ↑ University of Minnesota Extension. Home Food Preservation Newsletter. August 2012. Accessed March 2015 at https://www.extension.umn.edu/food/food-safety/home-food-preservation-newsletter/docs/home-preservation-august-2012.pdf. 11. ↑ Jenkins, Kathryn. 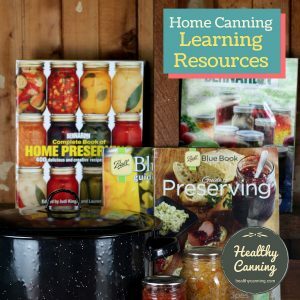 New guidebook available this fall giving up-to-date home canning tips. Frederick, Maryland: The Frederick News-Post. 19 June 1986. Page F-1. May I substitute fresh lime juice where fresh lemon juice is called for? As lime juice is more acidic than lemon juice even, yes, you may. Hi! 🙂 Can you please recommend a good brand of bottled lemon juice or an example? Is it 100% pure lemon juice? I’m from the Philippines and our local products can be different from products from the U.S. But we do have imported U.S. products available here. It can just either be a bit difficult to find or a bit pricey. Hi Kritz, I see that there are several Filipino brands of bottled liquid lemon products which are labelled lemon-flavoured “drink” or “lemon water.” As you know, that’s not 100% pure, which is why you’re asking of course…. I’ve been Googling and trying to find 100% pure bottled lemon juice for you in the Philippines but haven’t had any luck — I agree imported products can get ridiculously pricey! If a recipe calls for 1 1/4 cup of cider vinegar how much lemon juice to substitute it with? What is the recipe you are working with Tara? What is the ratio of lemon juice to add to non-citrus jam to ensure the max pH? I also use homemade Apple pectin from Granny Smith apples, would this affect that ratio? Also, can you recommend a good pH meter for canning? Re the jam acidity and pectin questions, I’m going to suggest that you pose those questions to someone like the people at Pomona Pectin. 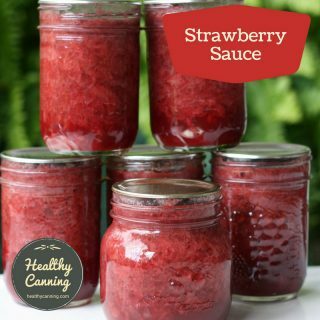 https://www.pomonapectin.com/ They have tons of experience in developing safe jam recipes. Can I use Ball Fruit-Fresh in place of vinegar or lemon juice? If so, how do I determine how much to use? The label says to add 1 tsp to each cup of liquid in the recipe. 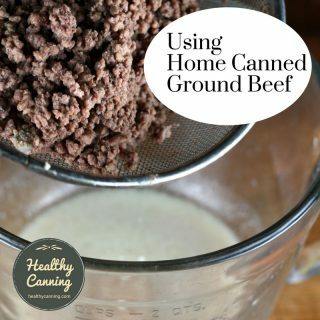 Does that mean to add 2 tsp for pint jars, 4tsp for quarts, etc.? Would it be added to each jar as they are being filled or stirred into the entire hot recipe? I guess my real question is: Does the Fruit-Fresh impart a flavor? For instance, I don’t care for the vinegar flavor that comes through in home-canned salsa. Sadly, you can’t use Ball Fruit Fresh (aka ascorbic acid aka vitamin C) for that purpose. It’s slightly acidic, but only just enough to prevent browning. It’s not acidic enough beyond that to provide safety. 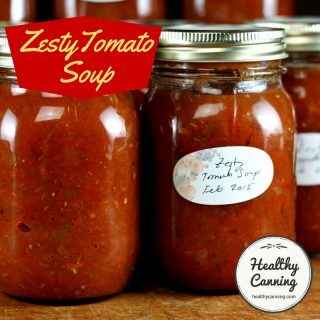 https://www.healthycanning.com/home-canning-theory/acidifying-tomatoes-for-safe-home-canning/#don8217t-use-ascorbic-acid . And, what’s more, Vitamin C is volatile and is destroyed by heat, so it won’t even survive in the jars to keep them safe. i would like to dry lemons and grind them into a powder and use this in place of citric acid in all recipes for canning. Do you know of a conversion chart for this? Sorry, nope, haven’t seen any such chart. You’d need to contact Ball or the NCHFP to ask them, to make sure you have safe conversion rates for homemade versus commercial which would have certified acidic ratios (presumably.) Or, try Linda Ziedrich over at https://agardenerstable.com/ : you may find her more willing to at least intellectually entertain such a question. Good luck! Thanks Randal. I will check into all 3.